The example of the NGO called Alternatives illustrates these points well. This group, which has ties to the progressive community in Canada and Quebec, has done some useful work in Palestine and Latin America. But, at the end of 2009 the Canadian International Development Agency failed to renew about $2.4 million in funding for Montreal-based Alternatives. After political pressure was brought to bear, Ottawa partly reversed course, giving the organization $800, 000 over three years. After CIDA renewed $800,000 in funding, Lambert claimed victory. But, the CIDA money was only for projects in Afghanistan, Iraq and Haiti — three countries under military occupation. (The agreement prohibited Alternatives from using the money to “engage” the public and it excluded programs in Palestine and Central America.) 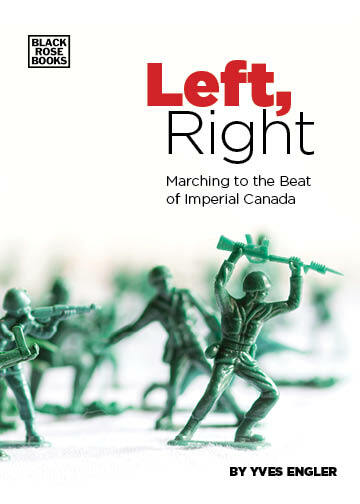 When Western troops invaded, Alternatives was not active in any of these three countries, which raises the questions: Is Alternatives prepared to follow Canadian aid anywhere, even if it is designed to strengthen military occupation? What alternatives do even “leftwing” NGOs such as Alternatives have when they are dependent on government funding? One important problem for Alternatives and the rest of the “progressive” government-funded NGO community is that their benefactor’s money is often tied to military intervention. A major principle of Canadian aid has been that where the USA wields its big stick, Canada carries its police baton and offers a carrot. To put it more clearly, where the U.S. kills Canada provides aid. Beginning the U.S.-intervention-equals Canadian-aid pattern, during the 1950-53 Korean War the south of that country was a major recipient of Canadian aid and so was Vietnam during the U.S. war there. Just after the invasions, Iraq and Afghanistan were the top two recipients of Canadian aid in 2003-2004. Since that time Afghanistan and Haiti were Nos. 1 and 2. For government officials, notes Naomi Klein, NGOs were “the charity wing of the military, silently mopping up after wars.” Officials within the George W. Bush administration publicly touted the value of NGOs for the wars in Afghanistan and Iraq. Three months after the invasion of Iraq Andrew Natsios, head of USAID and former World Vision director, bluntly declared “NGOs are an arm of the U.S. government.” Natsios threatened to “personally tear up their contracts and find new partners” if an NGO refused to play by Washington’s rules in Iraq, which included limits on speaking to the media. International NGOs flooded into Iraq after the invasion and there was an explosion of domestic groups. The U.S., Britain and their allies poured tens of millions of dollars into projects run by NGOs. Many Canadian NGOs, such as Oxfam Quebec and Alternatives, were lured to occupied Iraq by the $300 million CIDA spent to support the foreign occupation and reconstruction. Up from a few dozen prior to the invasion, three years into the occupation a whopping 2,500 international NGOs operated in Afghanistan. They are an important source of intelligence. In April 2009 U.S. Special Representative for Afghanistan and Pakistan, Richard Holbrooke, told the Associated Press that most of their information about Afghanistan and Pakistan comes from aid organizations. Canada’s military also works closely with NGOs in Afghanistan. A 2007 parliamentary report explained that some NGOs “work intimately with military support already in the field.” Another government report noted that the “Civil-Military Cooperation (CIMIC) platoon made up of Army Reserve soldiers organizes meetings with local decision-makers and international NGOs to determine whether they need help with security.” Some Canadian NGOs even participated in the military’s pre- Afghanistan deployment training facility in Wainwright Alberta. If even a “progressive” NGO such as Alternatives can be pushed into working as a tool of the military, shouldn’t we at least come up with a better description than “non-governmental” organization?